It is sometimes easy to overlook old friends. They are so comfortable and reliable that there is a danger they will be taken for granted. But old friends are the best friends, with reliability and comfort as an added bonus. 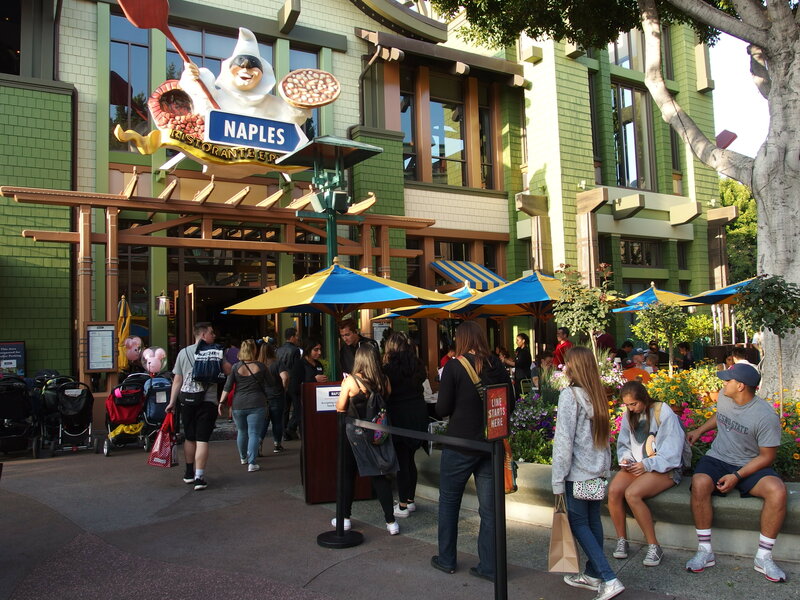 One such old friend at Downtown Disney Anaheim is Naples Ristorante e Pizzeria. The two-story eatery opened in 2001 and continues to welcome locals and tourists with a comforting mix of Italian classics, potent potables, and in recent days, some new items in the mix. 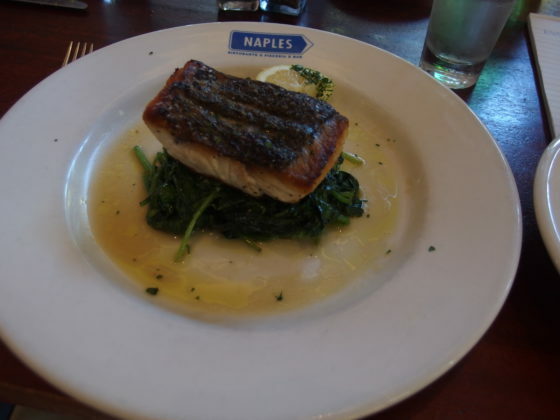 A recent meal at Naples was very much like a visit with an old friend—but one who has not taken that friendship for granted. The evening started out with a piccoli piatti (a small plate, or appetizer). 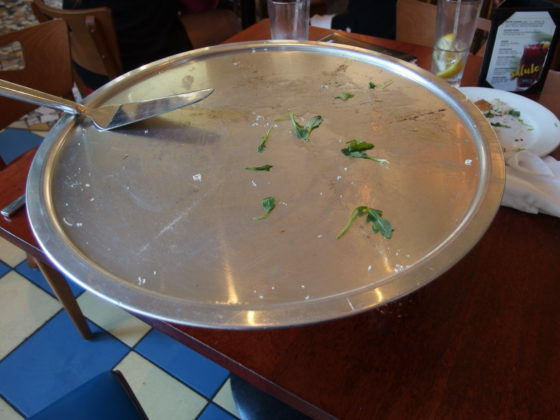 There were five to choose from: panzerotti (a cheese stuffed fried pizza dough with marinara sauce for dipping), calamari, brushetta, a prosciutto and melon salad, or (our choice) the caprese salad. 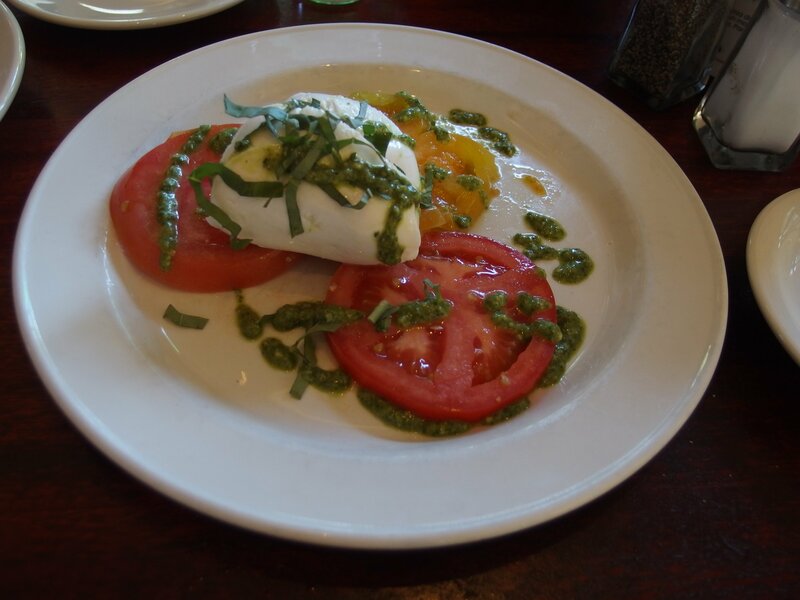 The refreshing dish arrived with a good portion of fresh mozzarella over sliced heirloom tomatoes, drizzled with olive oil and basil pesto. 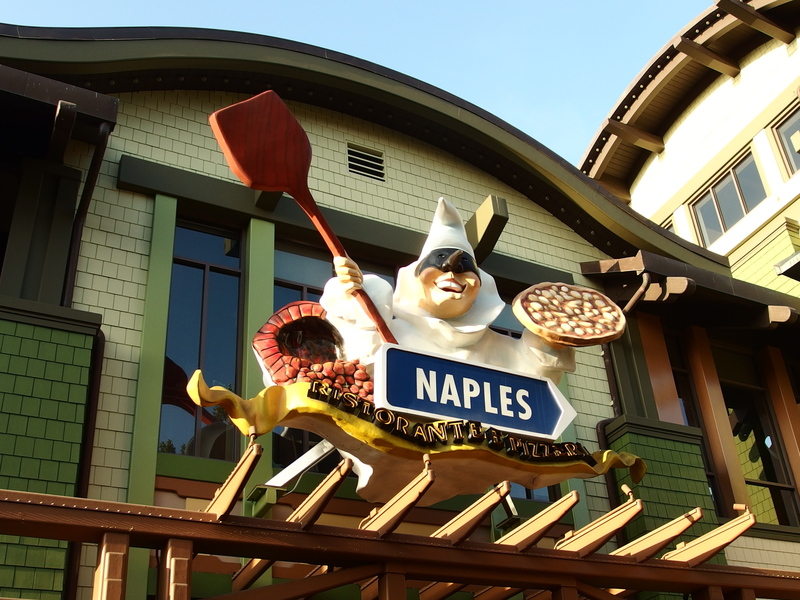 Naples also offers a traditional minestrone soup. For the main course, there is a choice of salad, pasta, entrees or pizza (of course). 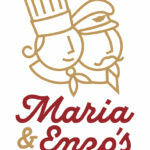 There are five salads, any of which can be enhanced with chicken or shrimp. 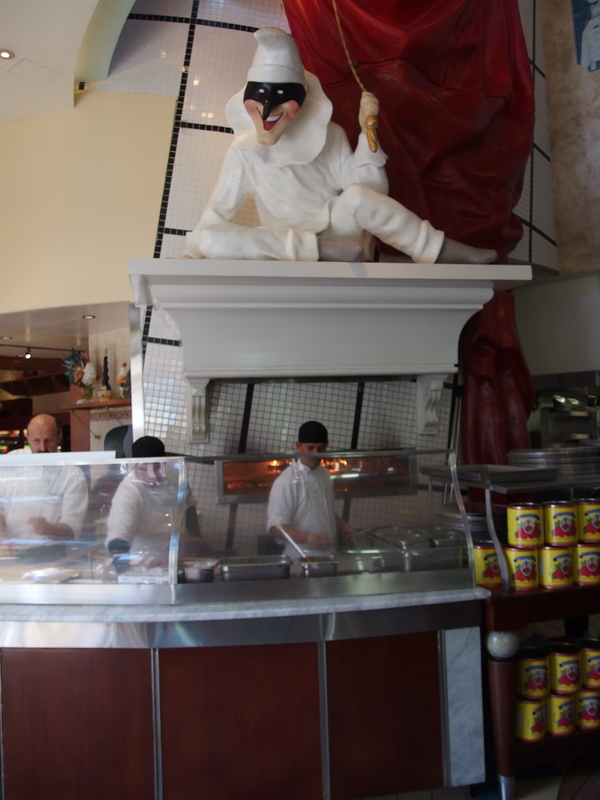 Seven pasta dishes are offered, ranging from ravioli and lasagna to conchiglie and casarecci. The entrees are pollo parmigiana (breaded chicken breast in tomato sauce with mozzarella and Parmesan), tortino di melanzane (eggplant with tomato sauce, mozzarella and Parmesan) and three fish dishes. There is good reason Naples includes the word pizzeria in their name. 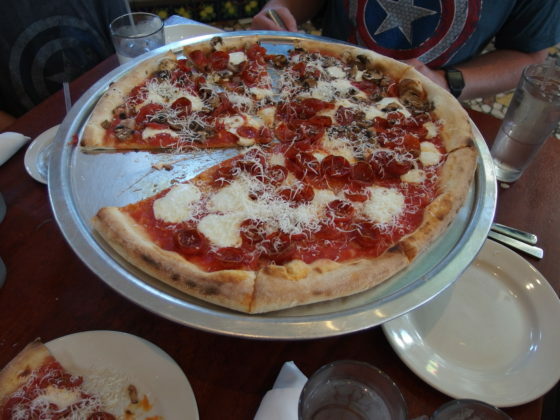 The menu boasts eight specialty pizzas, as well as a classic Neapolitan, which can be enhanced with a variety of toppings. 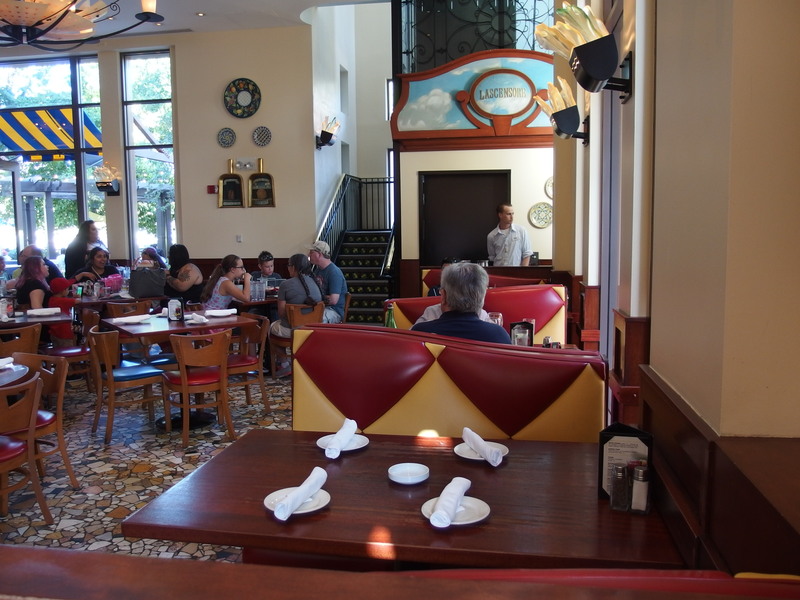 The busy pizza oven is on full view from the main floor dining room. For our meal, we selected the classic spaghetti and meatballs and the fish of the day, which on that night was barramundi. 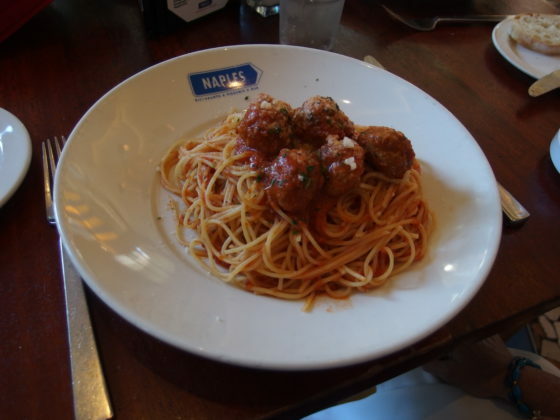 The spaghetti was a generous portion, served with marinara sauce and five large hand-crafted meatballs. The barramundi proved to be a moist fish, prepared with a satisfying crispy skin, and served over a bed of sautéed spinach. 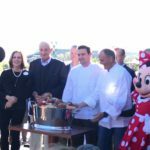 Although portions are more than satisfying (we ended up taking spaghetti home), there are also sides that can be added to any meal. We ordered the polenta, which proved to be a smooth preparation, unlike some American versions, which could be confused for grits. 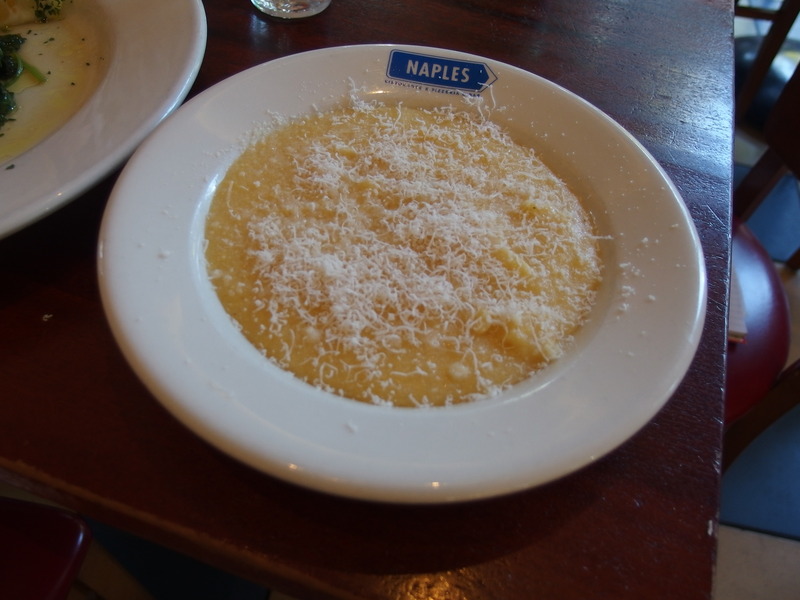 As a delicious complement, Naples offered freshly shaved Parmesan. Who can resist dessert, especially when the choices are classic Italian specialties? 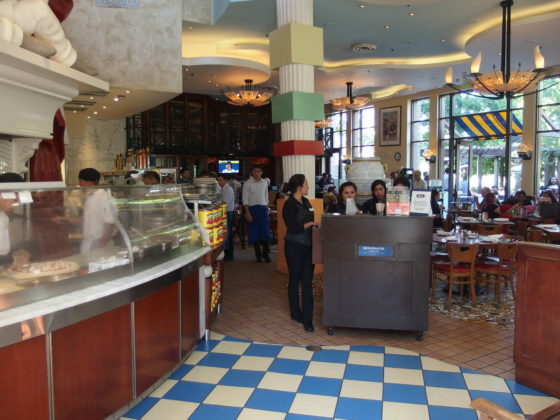 At Naples, the choices are tiramisu, cannoli, panna cotta, affogato, cheescake, and assorted Italian ices. 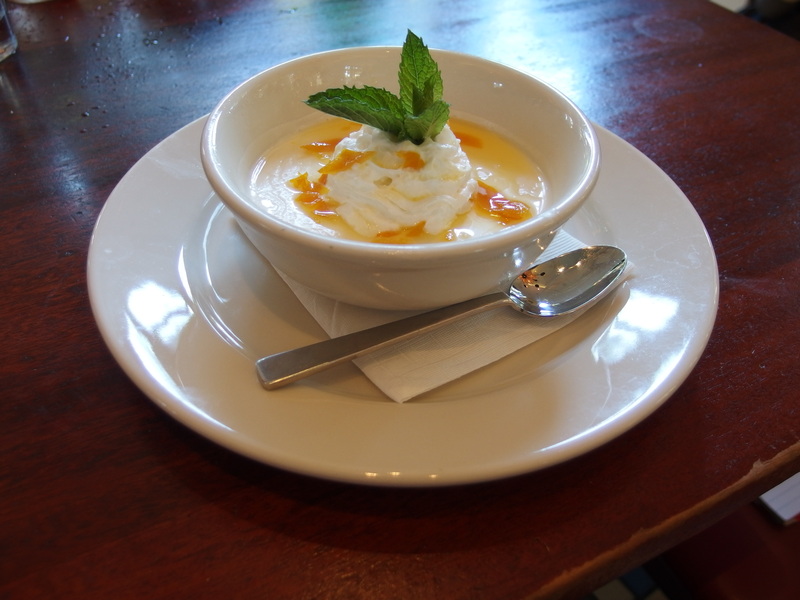 We chose the panna cotta, a chilled Italian custard topped with a light whipped cream and suffused with a delicate orange syrup and bits of candied orange peel. It was a perfectly refreshing finish for the meal. 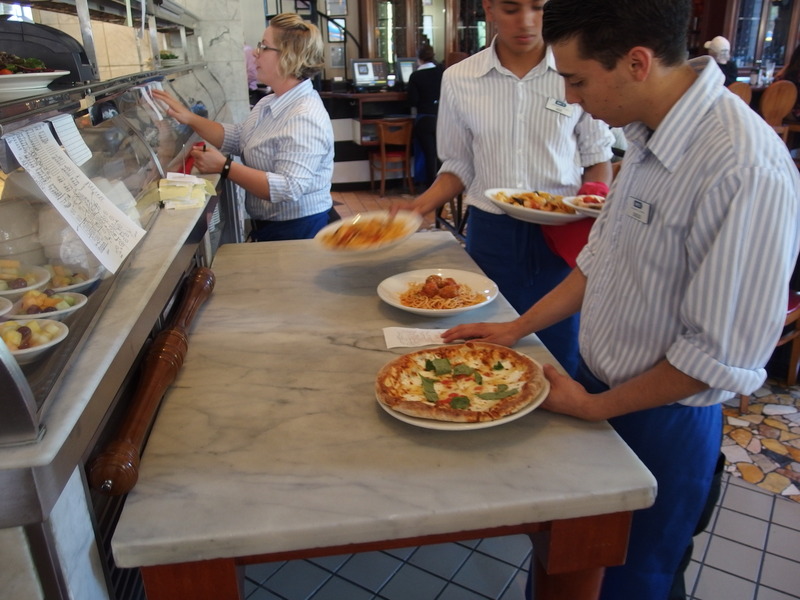 While Naples is justly attractive for its food, many guests have discovered the varied offerings at the bar. 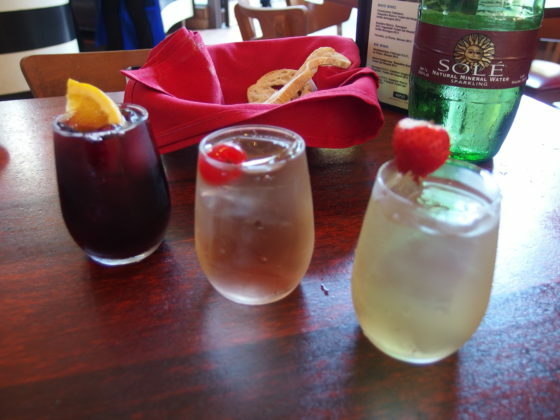 There is, of course, a full wine selection to complement your meal, or just enjoy with friends. 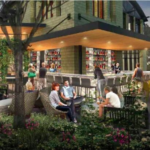 The wine cellar at Naples is, amusingly, located on a second-floor deck above the bar. Naples is also proud of their selection of cocktails, which they have recently expanded. 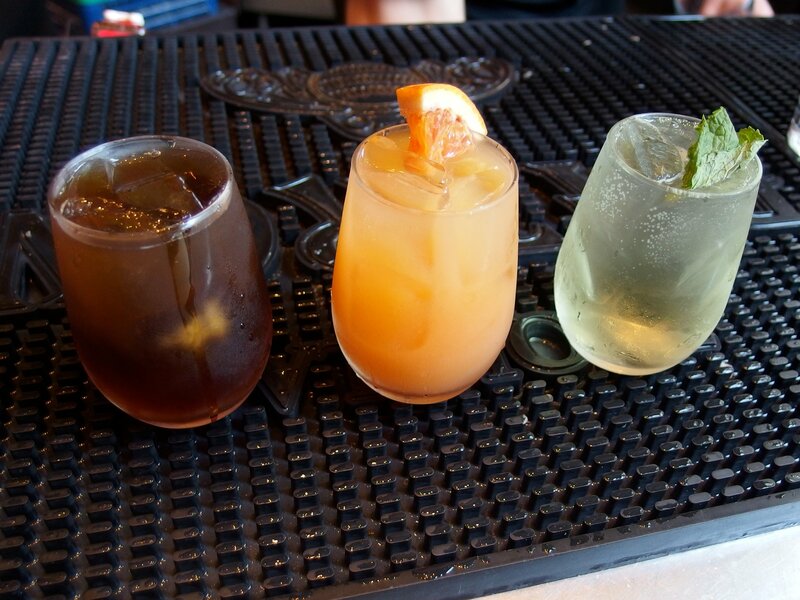 Two of their selections, the Naples sangria and Italian mule can even be ordered as a flight, with three variations on the basic mix. 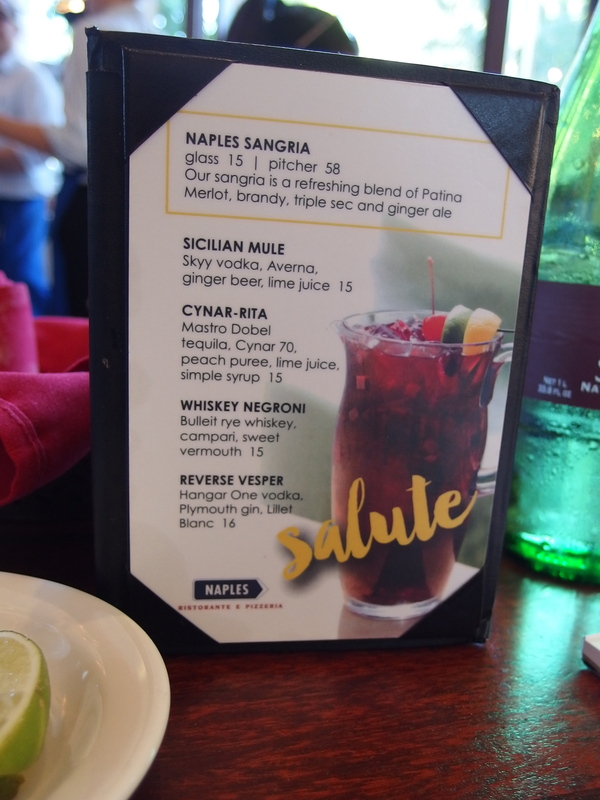 For those who do not imbibe, Naples offers non-alcoholic options. 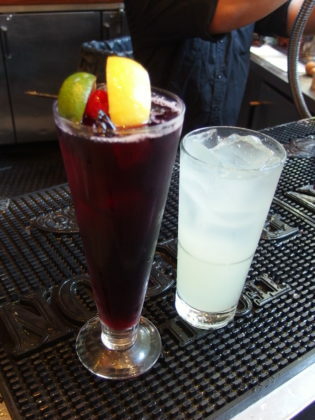 In addition to iced teas, lemonade, soft drinks and sparkling water, guests can also choose traditional Italian sodas. 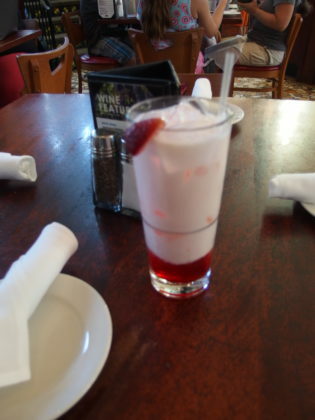 The choice of strawberry, chocolate, French vanilla or raspberry is served with club soda and a touch of cream. 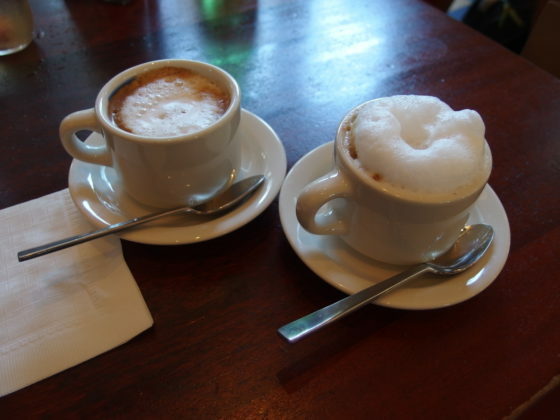 Those who prefer coffee will also find a good selection, including espresso, cappuccino, and café latte. 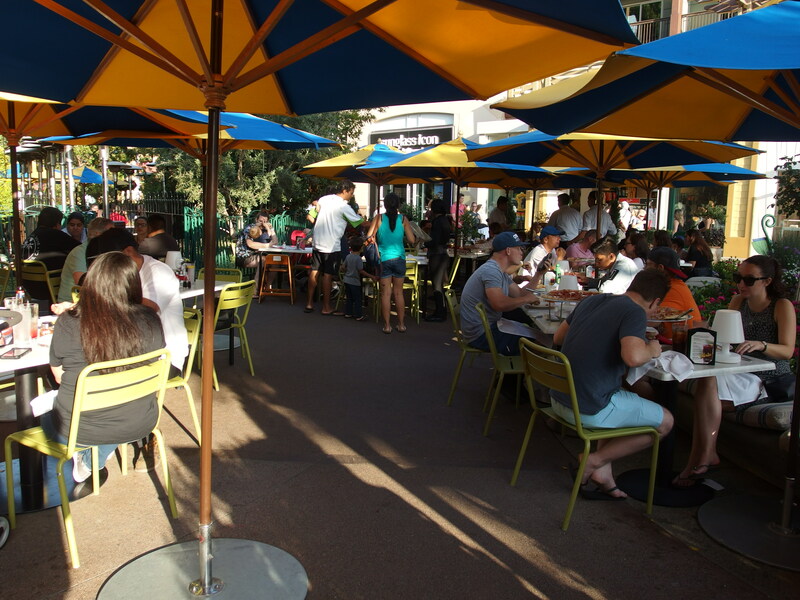 The only other major decision for the night is where to enjoy your meal. 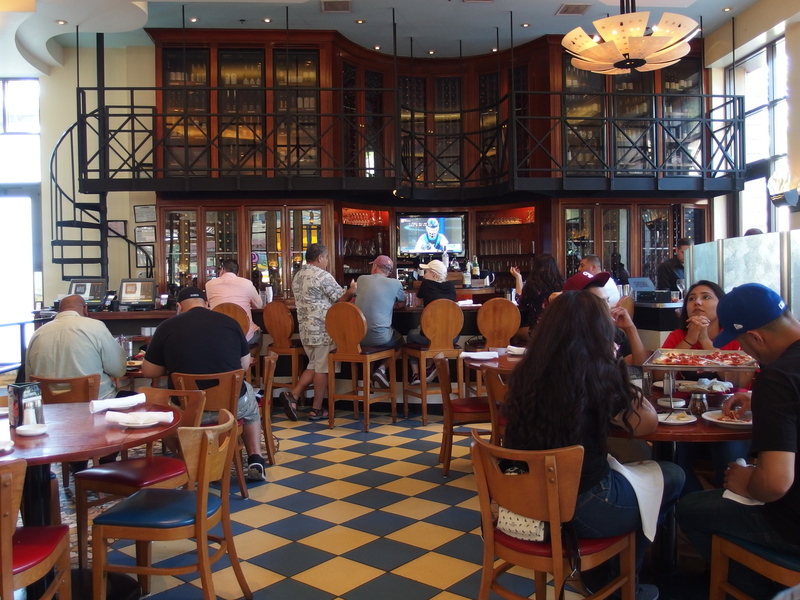 Seats on the main level offer a lively show as pizzas are prepared, waiters bustle about delivering entrees, and the bar staff sees that drinks are kept flowing. Upstairs guests can choose quieter tables, deep banquettes, or an outdoor balcony. 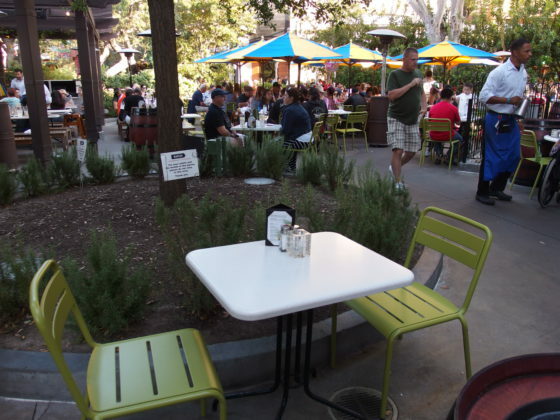 There is also outdoor dining on the main level, on a generous patio that was recently expanded to meet demand. 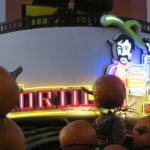 Isn’t it nice when old friends prosper?